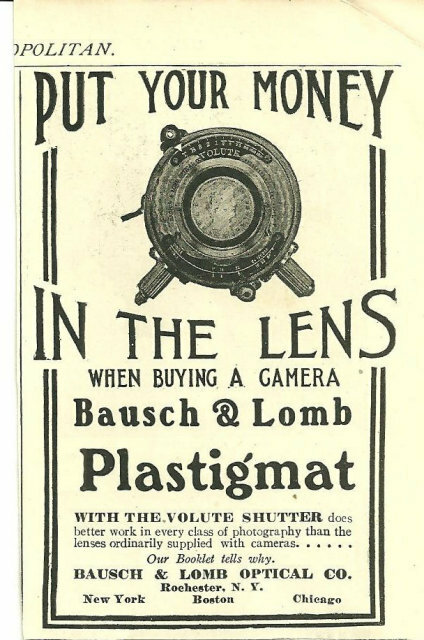 1904 Cosmopolitan Magazine Ad for Bausch and Lomb Plastigmat Camera Lens. Put Your Money in the Lens When Buying Camera. Bausch and Lomb, Rochester, New York. Ad is 4 1/2" high and 3" across. 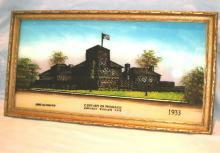 Very Good Condition suitable for Framing. 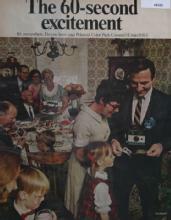 Items Similar To "Bausch and Lomb Camera Lens 1904 Cosmopiltan Ad"